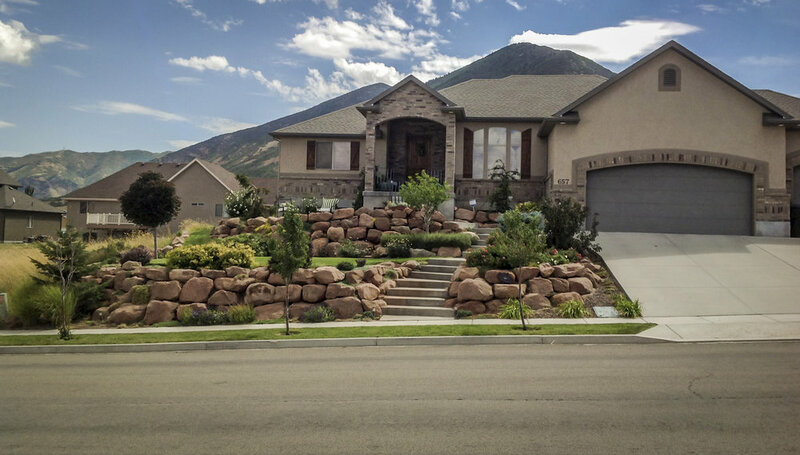 We are a locally owned rock & excavation company serving Salt Lake City, Utah and surrounding areas since 2007. Contact us for a free estimate and competitive bid. Here at Petersen Rock & Excavation we strive to provide our clients with the best service possible. Click the button below to view the list of services we offer. Petersen Rock & Excavation takes pride in exceeding our clients expectations. Click the button below to hear what our customers are saying about us. We hired Petersen Rock and Excavation for a rock garden in our front yard. Brandon Petersen went above and beyond to help us find the perfect rock to match our home and advised us on the design and layout of the rocks - we could not be happier with the results! We hired Petersen again to do our backyard and he knocked it out the park. Brandon is incredibly responsive, budget-friendly, and truly has an 'eye' for rock landscape and design. Our neighbors have all since hired Peteresen Rock too. Thank you! This guy does awesome work! Couldn't be happier. Also extremely knowledgeable. Highly recommended! Great customer service and amazing work. You'll be pleased with his end result.